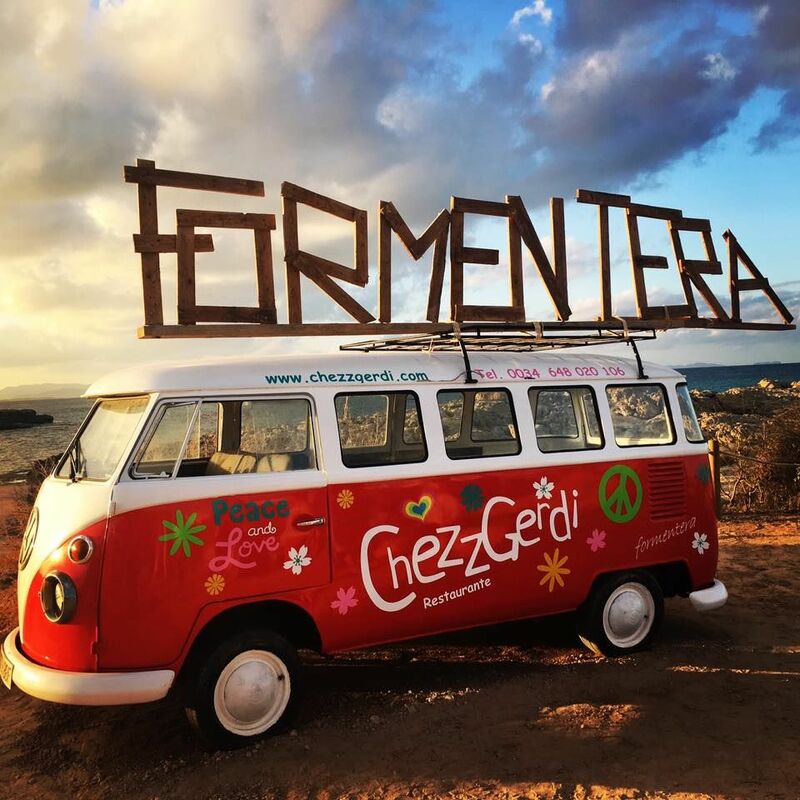 Negli ultimi anni l’aperitivo a Formentera è diventato un vero e proprio appuntamento imperdibile. Centinaia, se non migliaia di persone si ritrovavano sulla spiaggia per assistere alla puesta del sol, ovvero l’immergersi del sole nel mare al tramonto, e ovviamente bere litri di mojito e scatenarsi al ritmo della musica che i chiringuitos dell’isola proponevano. Purtroppo il successo di questi aperitivi creava non pochi problemi, soprattutto perchè il tutto avveniva a pochi passi dalle dune protette in quanto parco naturale. 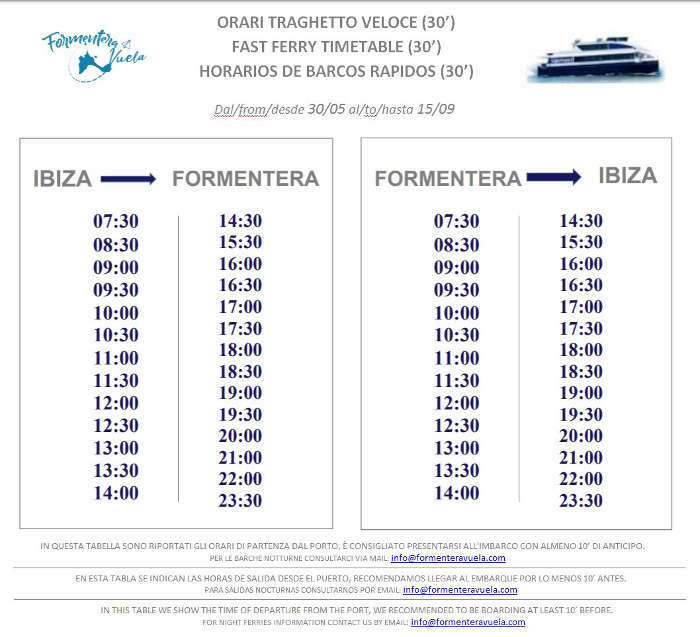 Per questo, ma anche per ragioni di sicurezza, è stato proibito ai bar in spiaggia di mettere musica oltre le ore 20. 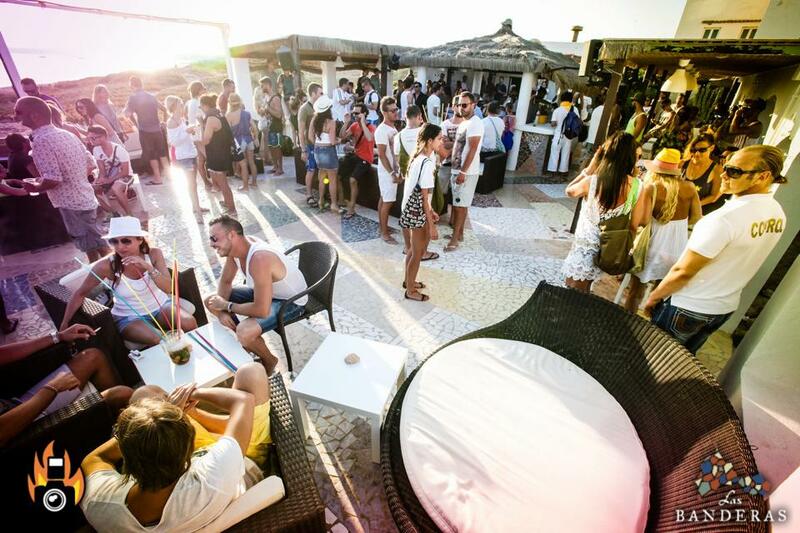 Rimane comunque l’abitudine di finire la giornata di mare con una buona bevuta al chiringuito, e se alle 8 la musica si spegne, la magia e l’incanto della puesta de sol non svaniscono..
Far from the hustle and noisier spots, you can enjoy a drink and a good mojito leafing through a book’s pages with rock background music of the 60’s and 70’s. 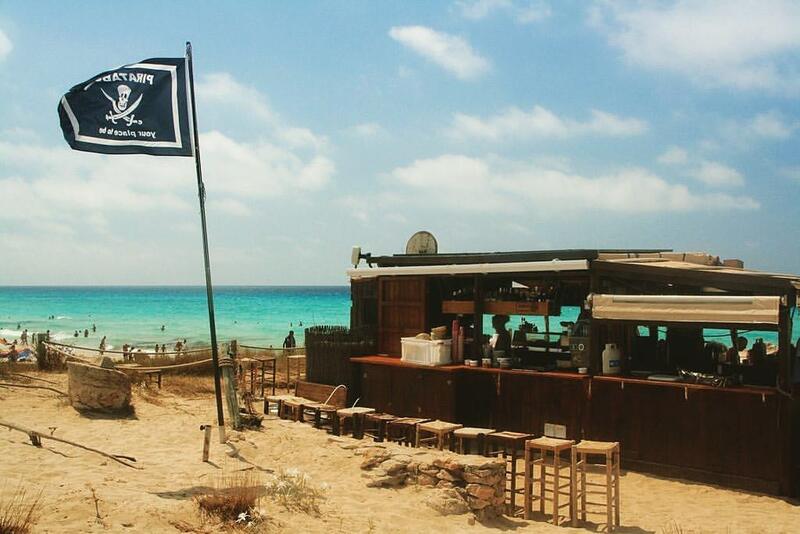 Piratabus is located in a stone area on the beach Es Arenals (km 11) and the discrete atmosphere distinguishes it from the rest of the beach bars. 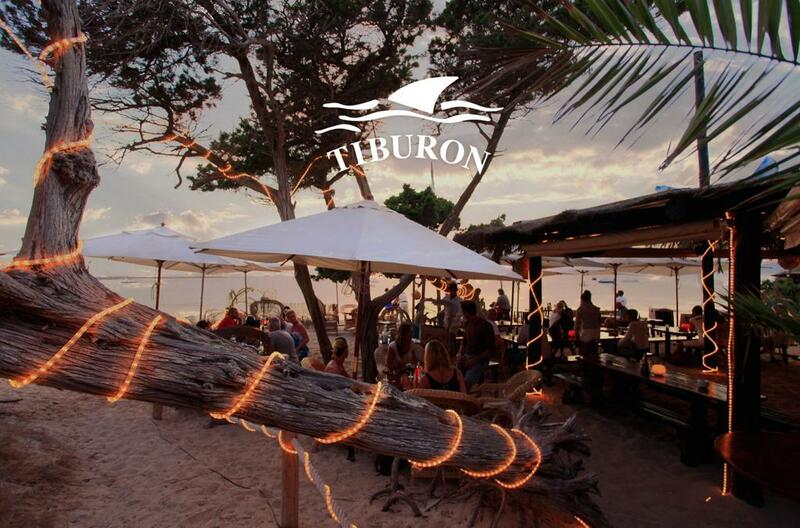 This is an original beach bar on Platja de Migjorn km 8, far from the typical trendy happy hour routes which enables you to revive the “old Formentera’s” atmosphere. With a fantastic view of the sea and your feet on the sand, you cannot wish for anything better to enjoy a good meal. 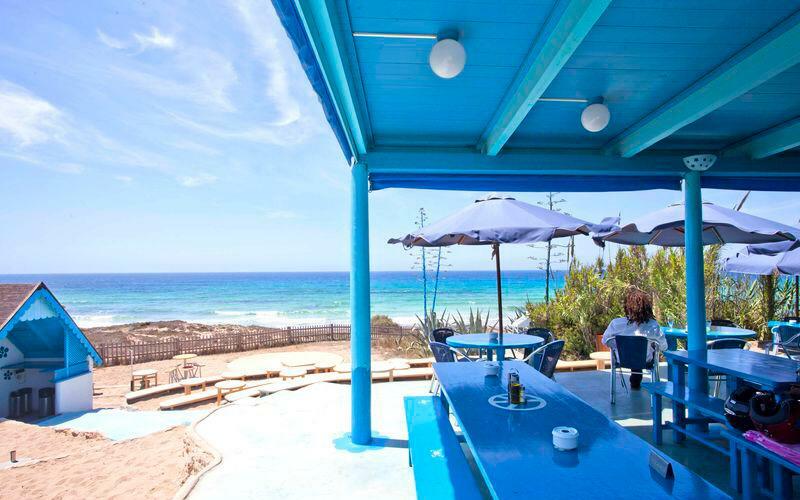 This beach bar-restaurant was the oldest one on Es Pujols’ beach and has been recently reopened by the Italian Carlo Sama. It is ideal for an aperitif as well as for dinner. It offers very selected and high quality dishes. The cellar is very well supplied. During the summer months a reservation is necessary. 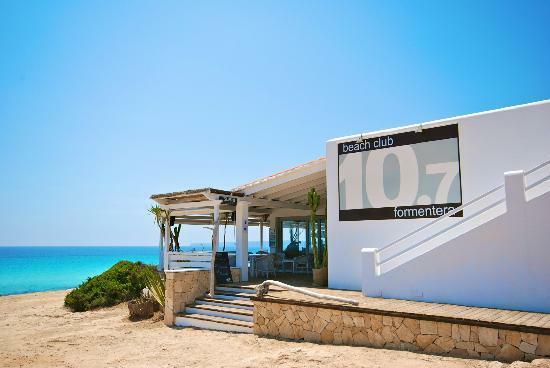 The trendiest and most fashionable venue on the island for an aperitif, located on the Platja de Migjorn, km 10.7 as it names says, near Es Caló. Everybody awaiting for the sunset wearing beach clothes and flip flops, having the last swim of the day and listening to some chill tunes before supper. 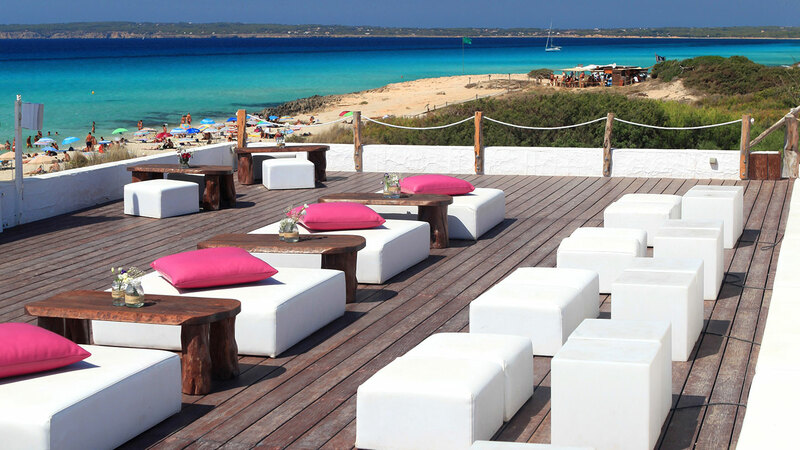 Among the many kiosk and beach bars in Formentera, this one stands out for its exceptional location, right on Illetas beach. 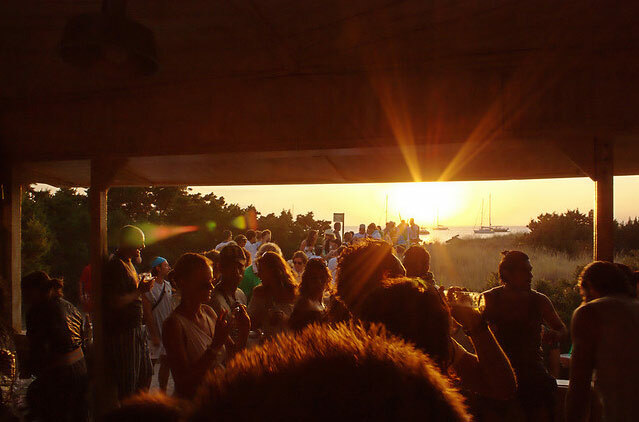 It is the place to be to celebrate the sunset with friends and young people who want to have fun. This elegant venue in Moroccan style is the meeting point for the trendiest celebrities escaping from Ibiza’s hustle to shelter in this exclusive atmosphere created by terraces, divans and big and soft cushions. Very famous bar in a magnificent location: over the golden dunes of the idyllic beach Platja de Migjorn, at km 8 on the road from La Savina to La Mola. 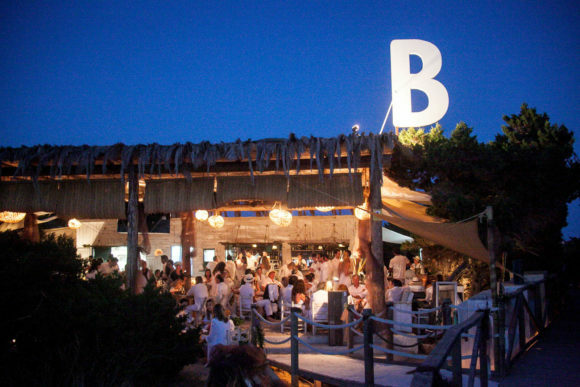 Blue Bar was once the meeting point for the hippies of the island, but now it’s a day time restaurant. 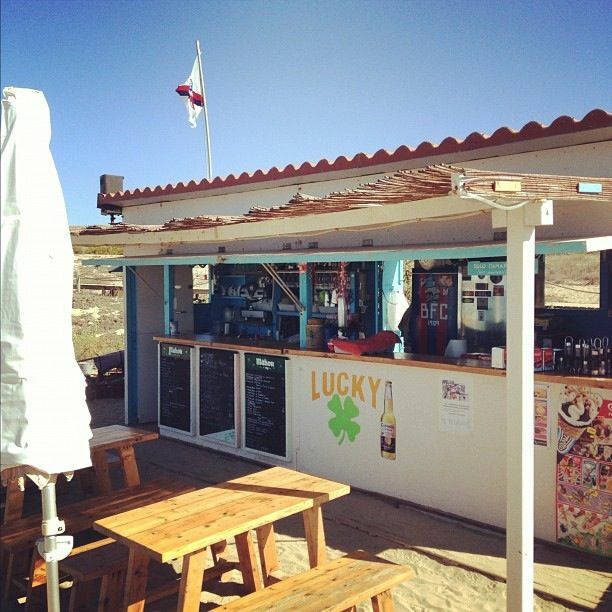 This establishment is a beach bar and restaurant and is located on the 11th km in Platja Migjorn. It has a lovely terrace by the sea where you can see the sunset and it offer sunbeds to relax. In the meantime you can eat fried crab legs and enjoy romantic atmosphere.